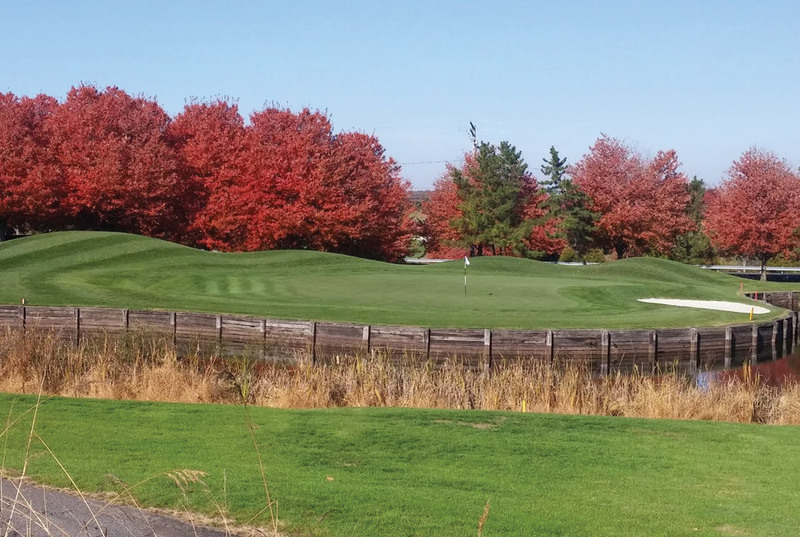 Early engagement among developers, designers, local community groups, and permitting agencies is essential to designing and constructing a golf facility that minimizes environmental impact and meets the approval process. Federal, state, and local regulations apply to activities involved in construction activities on golf courses. During the planning phase, the boundaries of any tidal or nontidal wetlands or 100-year floodplains on the site must be identified because activities taking place within these boundaries require permits. The Maryland Department of the Environment’s (MDE) Wetlands and Waterways Program protects such waterbodies from loss and degradation. This protection is achieved through the regulation of the draining, dredging, and filling of tidal and nontidal wetlands, of the nontidal wetland buffer, and of waterways, including the nontidal 100-year floodplain. The regulations include a permitting or authorization process implemented in close coordination with the federal government, specifically the Army Corps of Engineers. While there are some exemptions from permitting requirements for certain activities, permits or letters of authorization from the state are generally required if a property owner plans to undertake an activity that results in the draining of a wetland or the addition of fill materials to a state-regulated wetland or waterway. All state regulations that pertain to wetlands are provided by MDE in a wetlands regulation database. Any activity associated with construction or renovation, including grading and filling, within the 100-year floodplain zone (nontidal or tidal) requires a permit issued by the local regulatory authority (county or town) in keeping with local ordinances. A Model Floodplain Management Ordinance, which meets all state and federal regulations and contains recommendations for improved management of floodplains, has been adopted widely by communities in Maryland. If state and federal permits are required, development may not begin until all necessary permits are issued. More information on floodplain permitting is available on the MDE’s Floodplain Permitting page. MDE has implemented a statewide erosion and sediment control program to control sediment-laden runoff from land-disturbing activities in accordance with Code of Maryland Regulations (COMAR) 26.17.01, the 2011 Maryland Standards and Specifications for Soil Erosion and Sediment Control handbook, and the Stormwater Management Act of 2007. MDE’s regulations establish criteria and procedures for erosion and sediment control throughout Maryland. These regulations enhance erosion and sediment control practices, improve the water quality of construction site runoff, and help in Chesapeake Bay restoration efforts. The handbook serves as the official guide for erosion and sediment control principles, methods, and practices. Each county and municipality, in turn, is required to adopt an erosion and sediment control ordinance that meets the intent of Maryland’s sediment control laws and regulations. In addition to identifying any wetlands or floodplains before construction, any federal- or state-listed species or species of concern potentially present on the site should be identified in consultation with the Maryland Department of Natural Resources’ Natural Heritage Program.